Healthy Choice is truly a one-stop shop, offering a range of energy healing modalities, body work and natural health options, readings and guidance, shamanic work and solutions for home and office. Many of the services are also available remotely and can be done online, over the phone or feedback of the work done can be sent via email. Energy Work focuses more on the the etheric-, emotional-, mental- and spiritual bodies. The belief is that all physical ailments and dis-ease starts in one or more of the energetic bodies and then over time percolates into physicality — e.g. You keep repeating a negative thought pattern, over time it starts building up an emotional charge which strengthens the negative pattern. When these negative patterns become too dense for the mental and emotional bodies it moves into the physical body, you develop a ‘sudden’ symptom or an ‘unexplained accident’. Aura Healing is a non-invasive energy healing modality. Etheric damage like tears, blockages and leaks are removed and cleared from the auric field. For most part the treatment does not involve touch, but some techniques may require limited or gentle touch. Chakra repair and balancing also form part of this healing protocol. Cord Cutting is performed to cut, clear, release and heal negative patterns playing out between you and the people you have significant relationships with. Cords of attachment are connected to your aura and the aura of the person you are connected to and you are exposed to these negative patterns 24/7. They affect you subconsciously and may drain your energy. Crystal Healing is an alternative medicine technique that employs stones and crystals as healing tools. The practitioner places crystals on different parts of the body, often corresponding to the chakras, or places crystals around the body to construct an energy grid to surround the client with healing energy. DNA Activation (13 Helix-: Kinesiopractic modality) consists of 31 programmes / protocols designed to work specifically on the 13 helixes of the DNA. The practitioner tests through the protocols to see what is needed for the client at the time and for the intention. DNA Activation (22 Strand-: Metaphysical modality) clears the energetic blockages keeping you from you breaking old patterns so you can be who you want to be. Through this modality, you may experience a higher attunement to Spirit — spiritual growth and self-transformation may be accelerated as a result. Energetic Recalibration assists the body by energetically calibrating — clearing and resetting — the state of proprioceptor receptors in the body the spine and the rest of the skeletal system comes into proper alignment, releasing stress and pain, allowing the body to self heal naturally. Kinesiopractic (Applied/Specialised Kinesiology) is a non-invasive treatment that evaluates and balances an individual’s structural, chemical and mental health through a variety of therapeutic techniques, including nutritional, counselling, joint/muscle manipulation, acupressure, and exercise. Evaluations are done by manual muscle monitoring (muscle testing). Past Life Regression (hypnotherapy) accesses past life memories which are below the level of the conscious awareness, clearing the unresolved conflicts from the past that have been distorting our mental, emotional and physical well-being. Polarity Therapy combines Astrology, Ayurvedic medical concepts, Chinese medical concepts, Yogic philosophy, Chiropractic techniques, Osteopathic techniques and Naturopathic techniques. It was developed in the late 1950’s by Dr. Randolph Stone. Quantum Resonance Bio Scan makes use of an electronic quantum scanner that collects the weak magnetic field of human cells for scientific analysis, thereby analysing and determining a person’s health status and main problems and putting forward standard prevention recommendations. Reiki Ryoho is a non-invasive energy healing modality originating from Japan. Clients remain fully clothed and are covered with a blanket or a sheet. The treatment involves placing hands on the client and allowing the Universal Life energy to flow through to the client. Shiatsu (Masunaga / Zen Style) in Japanese means “finger pressure”, Masunaga is the founder of this particular style of Shiatsu, Zen means “contemplation or meditation”; A treatment consists of finger, palm and elbow pressure, stretches, and other massage techniques, including meridian tracing and energy holds. Tachyon Attunement is a non-invasive energy healing modality. Tachyon tools are placed on and around the body to clear and energise the auric field. Tachyon tools are manufactured in Germany and energised in a zero-point machine. Learn more about at www.orionis.co.za. Download a price list for the Woodstock Practice here, and for the Tulbagh Practice here. Note: Distance / Remote consultations, readings and healing can be scheduled in any one of the two calendars, depending on your preference for the days. Please note that prices are different in Woodstock and Tulbagh. Remote consultation prices remain the same in both cases, but are different from Woodstock and Tulbagh prices. Body Work focuses more on the physical body. Unlike the physiotherapy approach that only treats the area where you have discomfort, holistic healing works on the premise that the body is a whole and that issues or ailments come from various layers and places in the body. For example, if your shoulder is sore, work might be done on your shoulder, neck, jaw, upper chest, arms, entire back, hips and other areas of the body that may appear to have no connection to the shoulder whatsoever. Dry Needling is an invasive procedure where an acupuncture needle is inserted into the skin and muscle. It is aimed at myofascial trigger points which are hyper-irritable spots in skeletal muscle that are associated with a hypersensitive palpable nodule in a taut band. The result of dry needling is pain relief and restoration of healthy physiology. Hara Massage (Abdominal Massage) focuses on massaging, stimulating and activating the abdominal organs and also working on deep muscles of the body through reflex points. This particular technique is good for lower back pain and also to support digestion. Holistic Massage is fundamentally based around oil-based Swedish massage, but an array of techniques are incorporated to ensure that the client receives the best possible treatment. The treatment deals with the client as a whole. The aim is to rebalance the body so it achieves homeostasis (balance). Indian Head Massage, also known as an Indian head massage is a an alternative massage therapy manipulating energy channels through massaging the upper back, upper arms, neck, scalp, face and ears. The goal is to clear blocks in these energy channels that cause a build-up of negative energy that cause ailments. Inversion Therapy is a form of spinal decompression and traction. It involves gentle stretches and twists while at an inverted angle. Clients are secured by the angles on an inversion table specifically designed for this process. Kinesio Taping alleviates discomfort and facilitates lymphatic drainage by microscopically lifting the skin. This lifting affect helps to decrease inflammation, reducing pressure while enabling a more effective flow of blood and lymphatic fluid in and out of the target area. Shiatsu (Namikoshi Style) in Japanese means “finger pressure”, Namikoshi is the name of the founder of this particular style of Shiatsu; A treatment consists of finger, palm and elbow pressure, stretches, and other massage techniques. This section is still under construction. Please visit back soon. In the mean time, if you are interested in any courses or workshops, contact us directly. Soul Plan is an invaluable system of Soul/Life Purpose analysis. The purpose is to better understand our present incarnation and help awaken and activate latent potential for others and ourselves. Therapists, Counsellors, Life Coaches, Healers, Teachers, Spiritual seekers and anyone interested in personal or spiritual development will want to benefit from this wonderful tool. Visit www.soulplan.co.za for more information. Shoden is the Japanese word for ‘first teaching’ as this is the first step one takes in the ongoing journey toward self realisation through the system of Reiki. Within Shoden you learn the essence of the system. Learn more about the Shoden Training. Okuden is the Japanese word for ‘inner teaching’. This level teaches how to connect to Earth and Heaven energy, the first steps to becoming fully integrated with the universe. Learn more about the Reiki Okuden Training. Shinpiden is the Japanese word for ‘mystery teachings’. 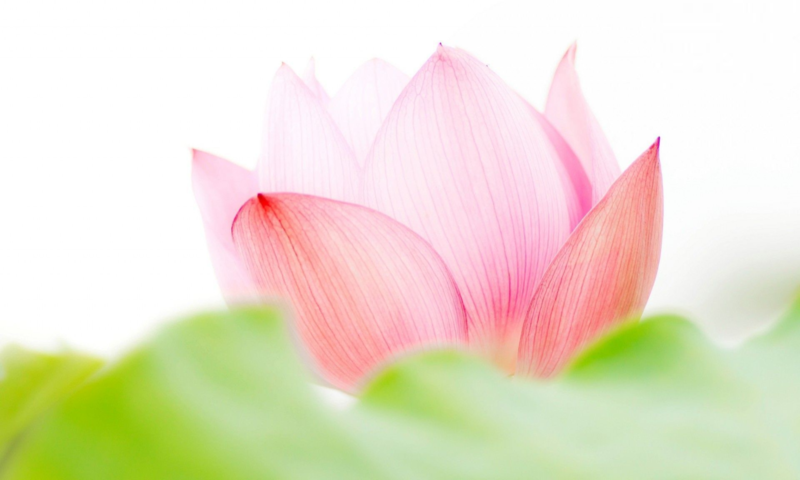 It is aimed at Level 2 practitioners or established Reiki Masters who wish to deepen their personal journey, a journey that is ongoing long after you complete the Shinpiden course. Learn more about the Reiki Shinpiden Training. The Beginner to Intermediate Level introduces students to the world of Crystals and Minerals. Students gain a working knowledge of 22 curriculum crystals, 7 Master Crystals, the Chakra System and practical techniques, methods and meditations. Learn more about the Beginner to Intermediate Training. The Intermediate to Advanced Level builds on the previous level. Students gain a working knowledge of a further 36 curriculum crystals, 26 Master Crystals, the Meridian System and practical techniques, methods and meditations. Learn more about the Intermediate to Advanced Training. The Advanced to Master Level is for students who want more metaphysical knowledge and experience. Students gain a working knowledge of a further 32 curriculum crystals, 7 Master Crystals and practical techniques, methods and meditations. A working knowledge is gained of Triangulation. Learn more about the Advanced to Master Level Training. The Munay Ki Karpay Kuna are a series of nine initiations / empowerment / rites based on the initiatory practices of the Q’ero shamans of Peru. “Munay” means “love and will”, “ki” means “energy”, karpay kuna means “rites / initiations / transmissions”, combine to give the meaning: Energy of Love Transmissions. Learn more about the Munay Ki Karpay Kuna. Demystify the pendulum. Learn how to connect to your subconscious mind. Access the wealth of knowledge and wisdom, bypass the limiting conscious mind. By using simple kinesiology techniques, a pendulum and the knowledge of using these, we gain access to a vast library of information. Learn more about the Pendulum and Dowsing Workshop. Learn core practices for keeping your aura, home and office clear of negative energies and influences. This workshop introduces you to a cross section of powerful protective and healing tools gathered from various traditions and ages. Is there anything you would like to learn that you know I can possibly teach? Do you have any suggestions for workshops, training or retreats? Would you like to host an event? Don’t hesitate to contact us.